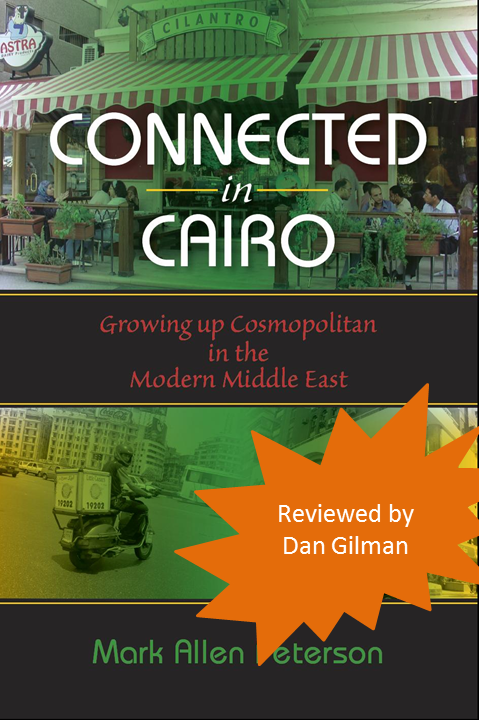 My first two years of graduate school were basically funded by an editorial assistanceship at Anthropological Quarterly, so I am thrilled to find a review of Connected In Cairo in its pages. I am even more thrilled because the review, by Dan Gilman (University of Mississippi) is so positive. In four pages, Gilman carefully describes the argument of my book, chapter by chapter, in elegantly parsimonious language. Although he does not dwell on it as a major topic of discussion, Peterson acknowledges in perceptive detail that the discourse of elite cosmopolitanism in Cairo is ultimately linked to a relatively rigid and implicitly violent class structure in which the elites use a suite of tools and justifications to reserve their privileges for themselves, and shut out the vast majority of Egyptians from even attempting to gain entry to more privilege or opportunity. This book is thus a valuable contribution for scholars in a variety of social sciences who have taken the wave of revolutions in the Arab world as their subject matter, and for those who will be paying close attention to how these elites in Cairo and elsewhere respond to existential threats to their structural privileges. Gilman is himself a scholar of contemporary popular music in Egypt, the author of one of my favorite essays on the pop culture aspect of the revolution.